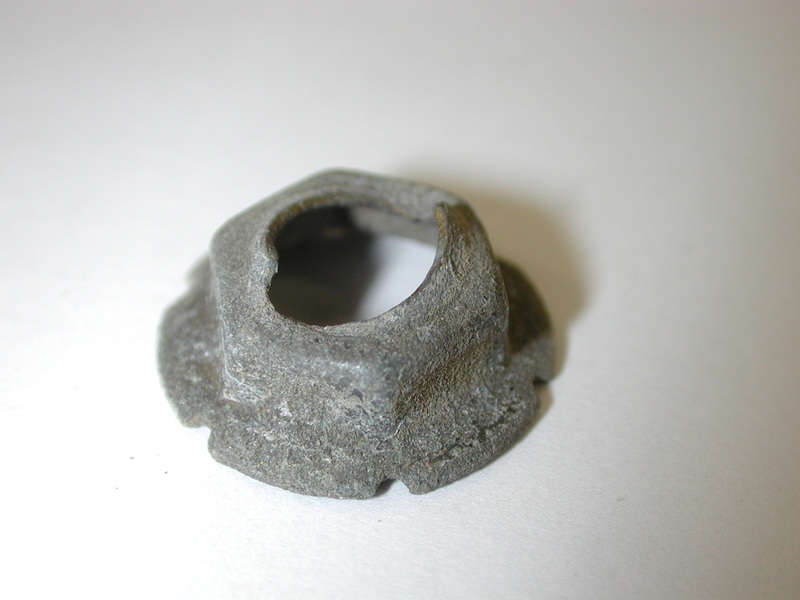 This is a stamped self-threading nut that is meant to 8mm plastic studs, such those on the marker lights and turn signals. The S100 finish is said to be "special", so I don't know what color they originally were. Anyway, they are 19mm (3/4") in diameter and are 7mm (~1/4") tall. But, I haven't found a source for them other than the salvage.